This is probably the hardest part about life ‘After the Mothership’. All through your career, you have defined yourself by what you do, by your job, your title, your status. By the company or organisation you belong to, by the division your are in, by the department, the team. By projects you are involved in, the working groups, the initiatives, the change programmes. By what you do. And now you are outside of the Mothership, none of that applies anymore. You are stripped bare, exposed, you have nowhere to hide. What you do doesn’t matter anymore, it doesn’t have any meaning, it doesn’t convey any status. In fact, you probably haven’t yet worked out exactly what it is you ARE doing. Even when you do figure it out, it will mean little to anyone else. You may well be doing a number of different things, you are possibly working on your own, or in a small group of associates and collaborators that no-one has heard of. The loss of status is the one thing you can’t replace. There’s no getting away from it, when I could tell people I worked for BT, marketing some techy stuff they’d never heard of to big corporations, it sounded impressive. When I worked in smaller organisations, I had great sounding job titles, like ‘VP of Strategy and Portfolio Management’ and ‘Marketing Director for EMEA’. Now, I work for myself and I ‘do a bit of coaching’. There’s nowhere to hide. You just have to be yourself, show up and see what happens. 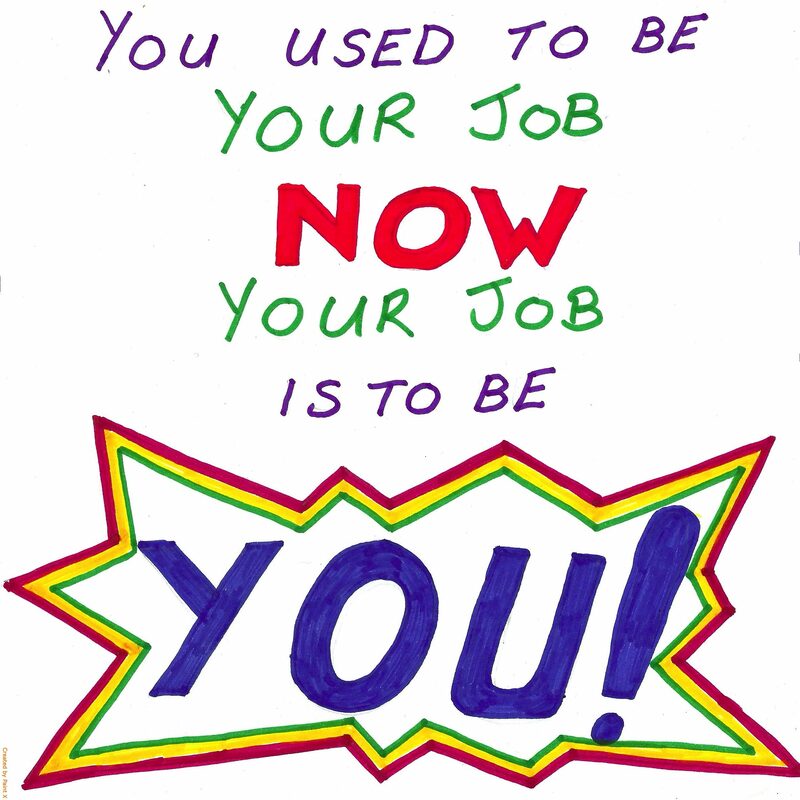 You used to be your job, now your job is to be you.